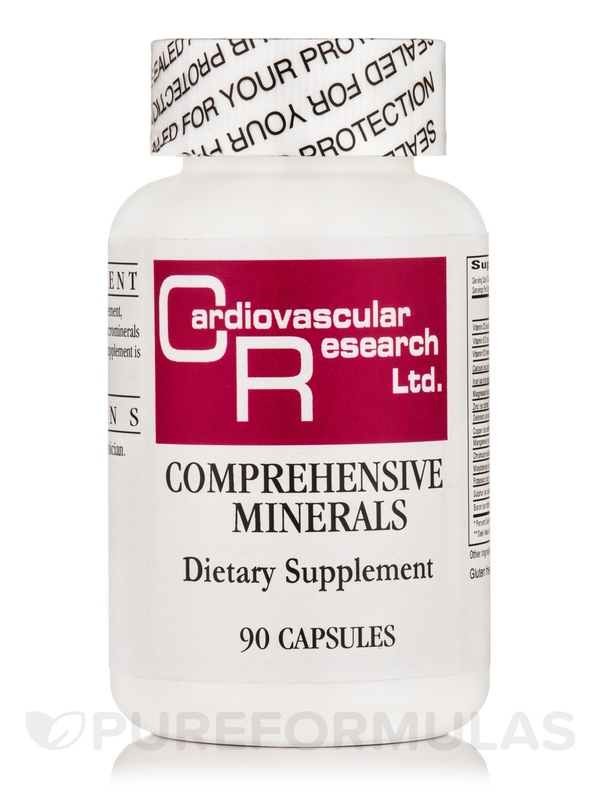 Comprehensive minerals is a scientifically designed supplement‚ containing nutritionally significant amounts of all essential macrominerals and trace minerals in their physiologically active forms. Other Ingredients: Gelatin‚ cellulose‚ garbanzo bean flour‚ silicon dioxide. 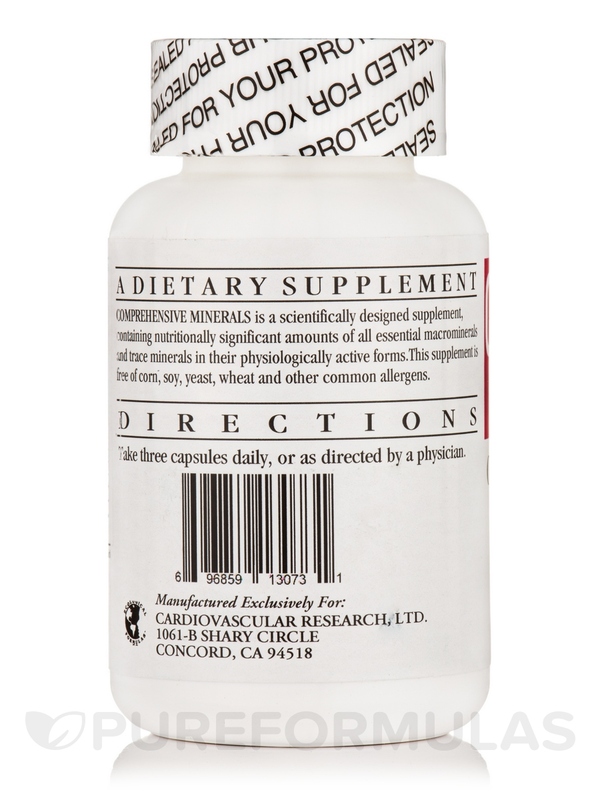 This supplement is free of corn‚ soy‚ yeast‚ wheat‚ and other common allergens. Take three capsules daily‚ or as directed by a physician. 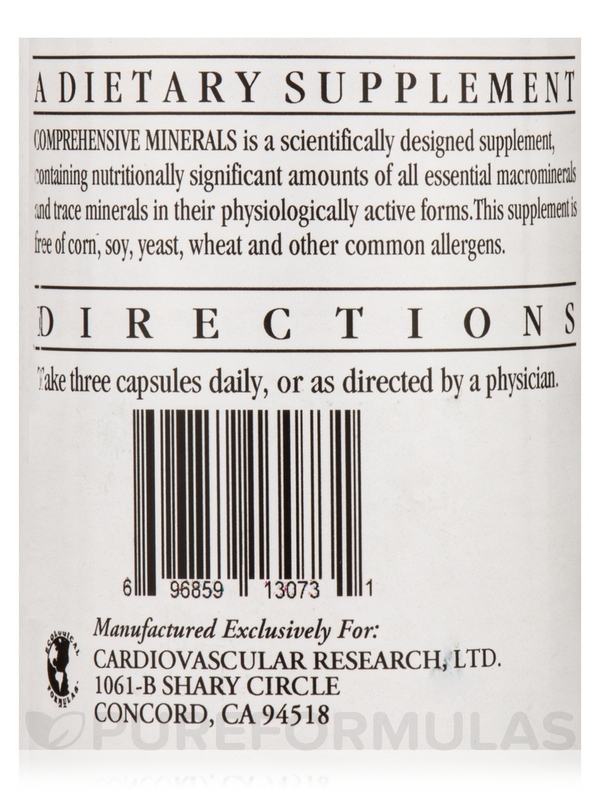 My doctor recommends Comprehensive Minerals by Ecological Formulas and it has been great for me. I like that it has a mix of several key minerals all in one product and this brand is great quality. PureFormulas has the best price compared to my doctor's office and a compound pharmacy that sells supplements in the area. 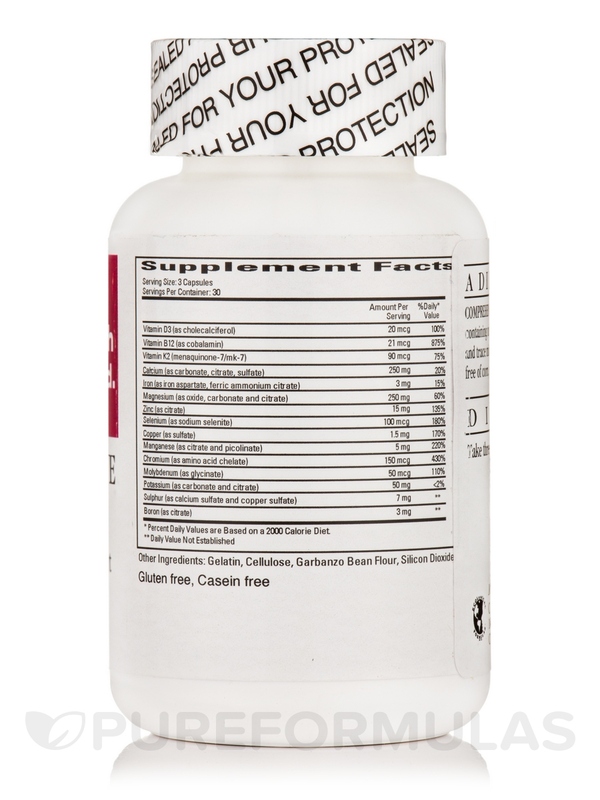 Several key minerals in one supplement. Great price from PureFormulas. Wish it came in higher quantity. I've not had any bad reactions (rare these days for me) to Comprehensive Minerals by Ecological Formulas and I tried to stop taking it for a while when I was avoiding inactive B-12 upon finding I might carry some MTHFR genes (turned out to only be Heterozygous though.) Some old symptoms like numbness/tingling/strange sensations returned, especially in my legs. Upon starting Comprehensive Minerals again, these symptoms disappeared. I also heavily supplement with magnesium citrate to control a wide variety of symptoms. I've been diagnosed with a Mast Cell disorder, CFS, and IBS and experience most of the typical symptoms of each. I plan to continue taking Comprehensive Minerals after more than half a year of using it off and on. I like that it has few additives, is cheaper than most brands for the same minerals, and doesn't have any odd tastes or side effects. 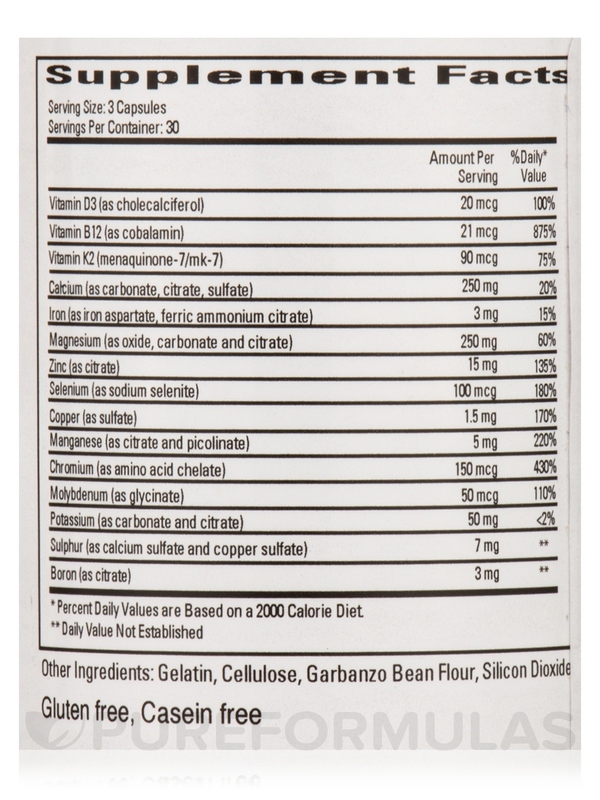 Added B-12 that's not in an active form; though the added vitamin may actual be a plus for some people so i did not subtract stars from the rating.